Dedication and determination to provide world-class machinery has seen Bell Equipment emerge as a global player and innovation leader in the heavy equipment manufacturing industry. The company started out over 50 years ago when Irvine Bell, after serving with theArmy Corp of Engineers in the Second World War, established the Bell Company as a small general engineering and equipment repair shop serving the pioneer farming community in Zululand, South Africa. Since then the company has grown exponentially and spread its footprint across the world. This JSE-listed company, with its headquarters and factory at Richards Bay, manufactures an impressive range comprising over 50 different models of Articulated Dump Trucks (ADTs), wheeled loaders, rigid and articulated haulers, triwheeler rough terrain material handling equipment and tractor loader-backhoes. Through an extensive network of Customer Service Centres and distributors in many parts of the world, the group is able to meet the requirements of customers in the mining, construction, forestry and agricultural industries where it is regarded as a leading force in these markets. In recent years the company has also established a factory in Germany, manufacturing Articulated Dump Trucks (ADTs) for the European market, including the United Kingdom and the growing market of Eastern Europe, as well as a factory in North America manufacturing ADTs for John Deere and Company. However, it was in the mid-60s that Bell Equipment initially gained a reputation as an engineering force when the company's founder, Irvine Bell designed a hydraulic three- wheeler cane loader, which could pick up and load the harvested crop. This provided a solution to the sugar industry's labour unrest problems at the time. A significant milestone in the company's history occurred in 1985 when it entered one of the most competitive arenas of the industry by producing its first Articulated Dump Truck (ADT).These machines, now led by the D-series are the company's flagship product and most popular export. Bell Equipment prides itself on being one of the world's most innovative ADT manufacturers. It produces the worlds first and only production 50-tonne ADT, the B50D and has also developed Fleetm @ tic, an automatic fleet management tool that uses cutting edge technology to provide remote satellite control of machinery. The company is driven in all its endeavours to provide the lowest cost per tonne solutions to the construction, mining, timber and sugar industries through research and development efforts, where a sizeable portion of its revenue is invested. The prestigious awards, bestowed on the company, best reflects the achievements of Bell Equipment's design engineers. In 1987 Bell Equipment was the winner of the Shell Design Award, followed by the SABS Industrial Design Award a year later. The South African Institution of Mechanical Engineers Projects and Systems Award and the Cullinan Design Award were achieved in 1991 and 1992 respectively for the design of the B40 ADT. Bell Equipment has a long-standing partnership with John Deere and Company, one of the five oldest enterprises in America, employing 43 000 people. This dynamic union has involved the sharing of technical knowledge and expertise to create win-win scenarios for the companies and their customers. John Deere has licence to assemble Bell ADTs in North America and Bell Equipment has licence to manufacture John Deere's side-shift TLBs and D series Front End Loaders in South Africa under the Bell Equipment banner. Other strategic business partners around the globe include Hitachi in the Asia-Pacific region, Liebherr in Europe and Kato Works in Japan, with whom Bell Equipment has an agreement to market excavators in Africa. To this end the efforts of Bell Equipment were recognised in 1990 when the company was awarded the highly prestigious State Presidents Award for Export Achievement. The following year the company was named recipient of the Past Winner Award. More recently the company has won the National Productivity Institutes Gold Award in the corporate category and the Institute of Marketing Managements Marketing Organisation of the Year award. In line with becoming a global role player, the company is accredited with the SABS ISO 9001 1994 Quality Management System Certification. An initiative is also in implementation to achieve A class World Class Organisation (WCO) status. As a South African company, in terms of its origin, Bell Equipment takes seriously its social and economic responsibility that all South Africans be given opportunity to gain access to skills transfer and business prospects. The company has identified ways of involving previously disadvantaged individuals in the earthmoving and heavy equipment manufacturing industries via its South African operations. This process will ultimately empower these individuals to own their businesses. The original ethos and desire to succeed is the foundation of Bell Equipment's success. 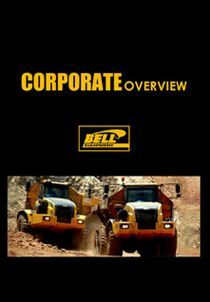 Full Name of Company: Bell Equipment Company South Africa. Nature of Business: Heavy equipment/ machinery manufacturer and distributor. Products: Articulated Dump Trucks, wheeled loaders, triwheeled material handling machines, rigid and articulated haulers as well as tractor-loader-backhoes. 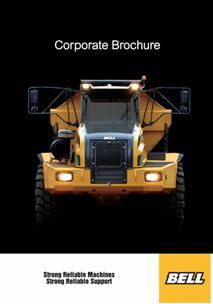 Customer Base: Construction,mining,material handling, forestry and agricultural industries worldwide. Physical Address: 13-19 Carbonode Cell Road, Alton, Richards Bay, 3900. Postal Address: Private Bay X20046, Empangeni, 3880. SouthAfrica:Bloemfontein,CapeTown,East London, Empangeni, George, Johannesburg, Kimberley, Middelburg, Nelspruit, Piet Retief, Pietermaritzburg, Port Elizabeth,Rustenburg, Springbok, Tzaneen, Umhlali,Vryheid,Wolmaransstad. Africa: Harare (Zimbabwe), Kitwe (Zambia),Mozambique, Namibia, Swaziland. International: Bell Equipment Deutschland, Bell Equipment Spain, Bell Equipment France, Bell Equipment North America, Bell Equipment UK. At Bell we have learnt that by valuing the contribution of every one of our people, we have been able to grow. Our customers will receive quality in everything we do. All our activities are conducted in a spirit of fairness, honesty and integrity. We design and manufacture products to fulfill the needs of our customers. We will continue to expand our international distribution. We are proud of our heritage and will provide opportunities for all our people in a safe and healthy environment worldwide. The BELL BULLETIN and PRESS RELEASES provide an opportunity in which latest information can be communicated to our customers and target audiences.